Written in Projects: 09/12/15, 12:30:19 by admin | Print article | View all categories. 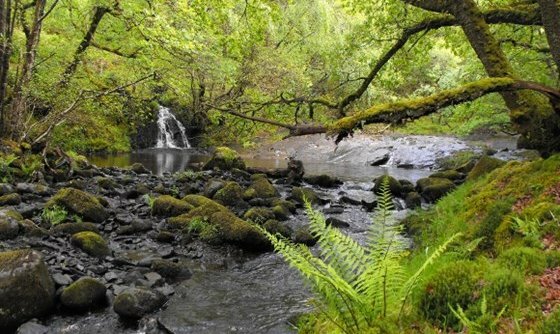 Hidden among the lush green hills of Snowdonia, at the bottom of a gorge so steep it may never be fully explored, lies a strip of rare, ancient woodland. This is Llennyrch - 100 acres of magical, mysterious and incredibly scarce Celtic rainforest surrounded by 400 acres of spectacular Welsh farmland. The British Woodland trust are running a campaign to purchase the land and have this ancient forest protected for future generations.